I'm glad so many were able to show up. I'm really sorry I wasn't able to be one of them. Thank you to all those that were able to observe in and outside of the game. A fitting tribute for Sheleg - I am proud to have been a part of the moment. I was not able to attend online, I was able to take a moment to reflect on the interactions I did have with him while playing online. 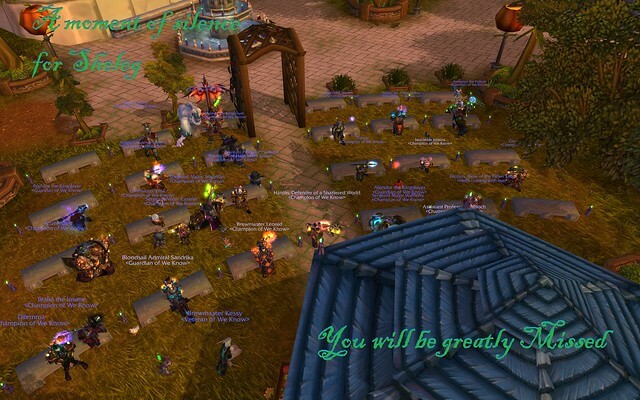 The screenshot shows how this guild is more than just an online game, we truly are a family. Cillan was quietly sitting on a bench in the park when I logged out yesterday reflecting on his memories. Godspeed Sheleg, we will miss you. I'm sorry that I couldn't make it, but I observed IRL around that time. Second, when the /yell's of "FOR SHELEG!" 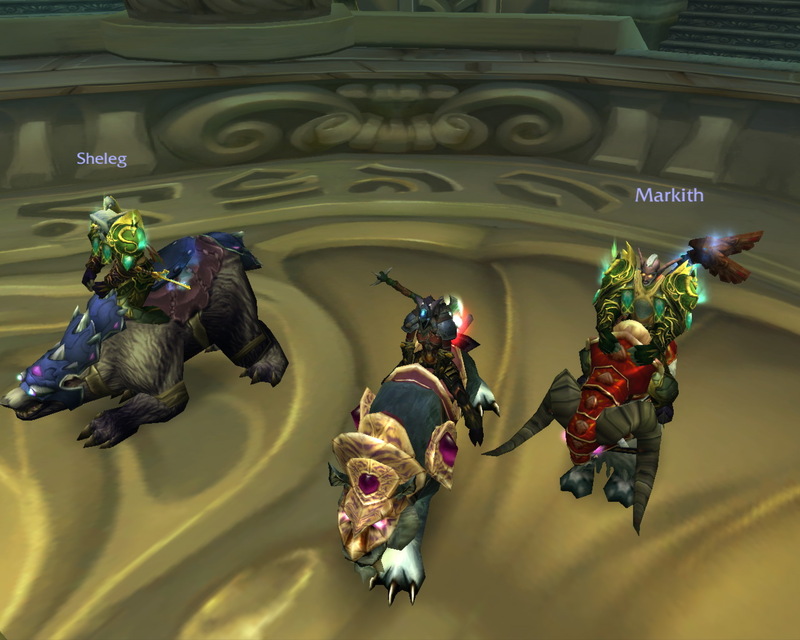 went out, no one jeered, scoffed, made themselves look silly within the City of Stormwind - nor did anyone pass by and make rude remarks... it was truly a picture perfect moment - and one fitting of our Sheleg. I was also surprised and pleased that no outsiders commented when we all yelled "For Sheleg!"